David Cameron came to Abingdon yesterday, ostensibly to meet the local Conservative party members and candidates standing in the council election. However, thanks to the tireless machinations of the local Chamber of Commerce (under the auspices of our very dynamic president Jill Carver) a deputation (if that's the right word) of us retailers met David (sorry - 'Dave') and the Conservative Council members, to discuss some of the pressing issues facing our businesses in the town. Most of the discussion was on traffic, taxes, red tape, etc. but the value of small, independent businesses to the biodiversity and sustainability of town centres was also on the agenda (mmm, I wonder who slipped that one in there?) After the meeting, David asked about the shop (I can't pretend he came in), we discussed an awful New Labour book that's been stuck on the shelves since we opened (Unfinished Revolution - firm sale sadly) but...it transpired that he grew up a few miles from Wantage, and asked after the independent bookshop he used to visit in the town. 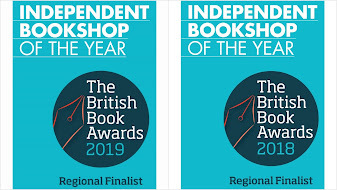 Unfortunately, the Wantage Bookshop sadly closed in February, so I was able to make the point about the tough times facing small independent booksellers. So expect questions in parliament soon (maybe not). 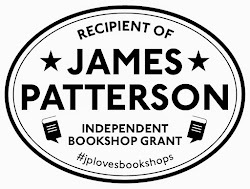 Just doing my bit to raise awareness of independents ahead of the London Bookfair (ahem). And...talking of striking a blow for independents - see this article in today's Grauniad from those bookselling revolutionaries and Waterstones' gadflies (and soon to be film stars) Adam and Matthew at Crockatt & Powell. Splendid stuff chaps. And I would suggest required reading for anyone involved in bookselling, because its a succinct round-up of the current state of play in bookselling in the UK. I won't be going to London (due to recent family events - plus the fact that Alex now has chickenpox) so I'll have to go next year instead. Still, I'm expecting a succinct report from the C&P boys after the event for those of us not able to go! Hi Mark - keep rockin it for the indies in Abingdon and we'll do the biz in the big smoke. We're both going to the bookfair on (different days). Now that the peeps at Wanklestones know what we look like I am expecting to be assassinated! And I noticed that Wenlock Books had Ali Smith visiting their reading group - didn't she do a reading at your place a while back? We haven't been to the bookfair for about five years ( I think), not since the year they threw us out for attempting to push Fred in a pushchair, a thing we had done many times with him and the other children previously. Apparently we were some kind of health and safety hazzard. I can see how that would leave a fairly nasty taste in your mouth. Let's hope they're a bit more enlightened 5 years later. Apart from the chance to network (which isn't to be sniffed at), what's the big deal about the Bookfair (sounding completely naive as usual)? I haven't attended the LBF since 2002 - and then it was a rushed 30 minute visit on Sunday morning, between trains, en route to my Mum's funeral. The main reason for my attendance would be to get first sight of US overstocks and UK publisher's ends. For the past few weeks lists have been coming in by email ; some stock which would have been offered at LBF has been delivered here and is already with the end-buyer! Times are a changing, and although the "overstock" and "remainder" market would be only a small part of the LBF, it is certainly the most productive field for the dedicated merchant adventurer. I'm too much of a grumpy cynic to tolerate the loud pretentious tosh which fills most of the arena. I've been roped onto a f***in' panel to talk about 'independent alliances' at the lbf. Jesus. Rent-a-quote strikes again. I think the best approach to attending the big book fairs is to have something to sell to the publishers. I was once able to sell $6,000 worth of advertising in my catalog at a book convention. This requires some advance planning obviously. If you start thinking about next year's LBF now, you could have constructed a "Promotional Opportunity" for publishers by then. What I did was create a sort of press-pack-like object: a folder with cover letter, sell sheet, business card, copies of old press-coverage of the store, sample newsletters from the past. I went from publishers-booth to publishers-booth. I wore a suit. I asked to talk to the marketing director or the boss. I had arranged a 40,000 copy distribution network for the catalog (you could do this even without access to schools which I had. It could be distributed in stacks to coffeeshops, at grocery stores, etc.) I charged $400 for a full-page ad or $150 for a quarter page. I was really quite shocked that I sold so many ads. The marketing directors appeared to FORGET that I was a bookseller, or something. They accepted that I was a sort of magazine or something. So -- anyway, that's how I think booksellers should work the trade shows. Not as buyers, but as sellers.